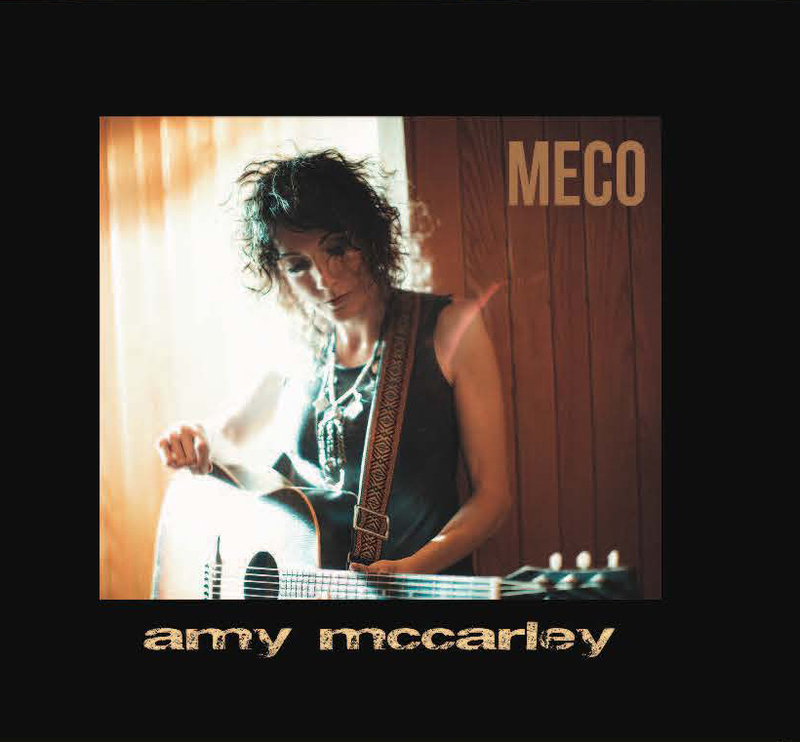 Amy McCarley releases her 3rd studio album next week on February 8, 2019. The album has the unusual title of MECO, an acronym for Main Engine Cut Off. McCarley picked up the lingo during her time as a NASA contractor. I recorded this one for my 2011 eponymous debut with me playing all the parts in a more subdued understated style. It’s the only song I’ve ever re-recorded and I wanted to do it for this album because it was so well received live, particularly when I’d played it with Kenny and band. I wanted to see if we could find in the studio that same electric emotionally charged space we’d found on stage. This new version is much more anthemic and unbridled than my earlier one. I love Kenny Vaughan’s solo parts on this one. To me, his playing always holds so much presence and information beyond just the notes. There is an intelligence to what he’s saying. Whether he’s playing them at lightning speed or choosing just a few to drop into a tune, the notes he plays hold so much meaning and emotion. He has his own sound and certainly stands out in any crowd as an incredible guitar player but at the same time possesses the ability to blend in for the benefit of a song. Obviously, both facets of his talents serve him and this project well. What Kenny brings to this whole project as producer and lead guitarist cannot be overstated. Together with a stellar assembled cast —including his mighty partner in crime, co-producer / engineer / studio owner, George Bradfute— he took this album to a place I never would have known to go on my own that I feel so fortunate to be able to share with the world. I wrote “Everything Changed” as I was coming through to the other side of some personal challenges I’d been slowly working on when I realized suddenly I was better even though the situation hadn’t changed. Only I had changed how I chose to view and react to it. I had stopped trying to change it. I accepted it. I was so surprised by the relief it brought to let go of the hope that I could influence this outcome. It was epic. And so simple. This song is a celebration of the moment when small steps of personal growth eventually have a monumental cumulative effect. “Everything Changed” is a song for anybody who’s ever struggled and eventually let go of the need to change something outside their circle of influence and found the happiness it brings.